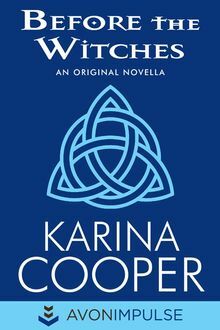 Born from the genetic mash-up of lesser royalty, storytellers, wanderers and dreamers, Karina Cooper was destined to be a creative genius. As a child, she moved all over the country like some kind of waifish blonde gypsy and learned how to adapt to the new cultures her family settled in. When she (finally) grew up, she skipped the whole genius part and fell in love with writing Paranormal Romance because, really, who doesn't love hot men and a happy ending? When she isn't writing about things that go bump in the night, Karina designs Steampunk and neo-Victorian couture for gentleman hobbyists and ladies of questionable reputation. She lives in the beautiful Pacific Northwest with a husband, three cats, one rabbit and a passel of adopted gamer geeks.